Beach weddings are timeless, they take place every year and many couples love beaches to tie the knot. Invited to such a wedding? 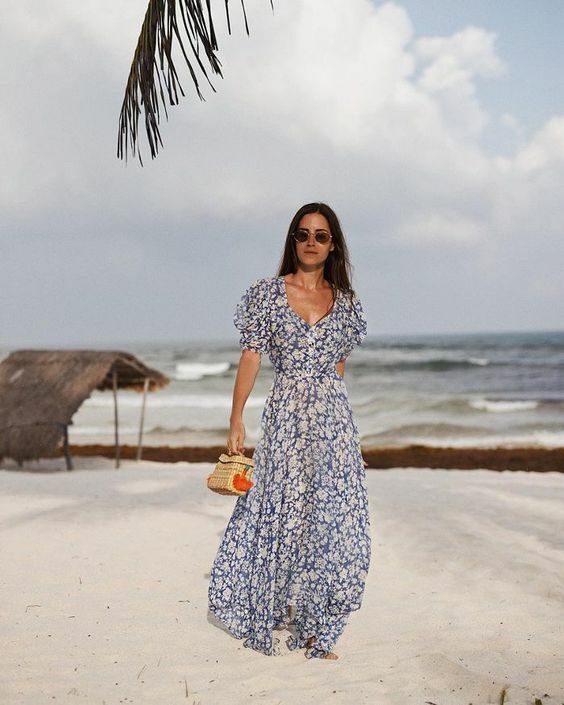 Dressing up for such a wedding may be tricky cause of much sunshine (which usually means heat) and unexpected ocean breezes. Plus, there’s much sand around! 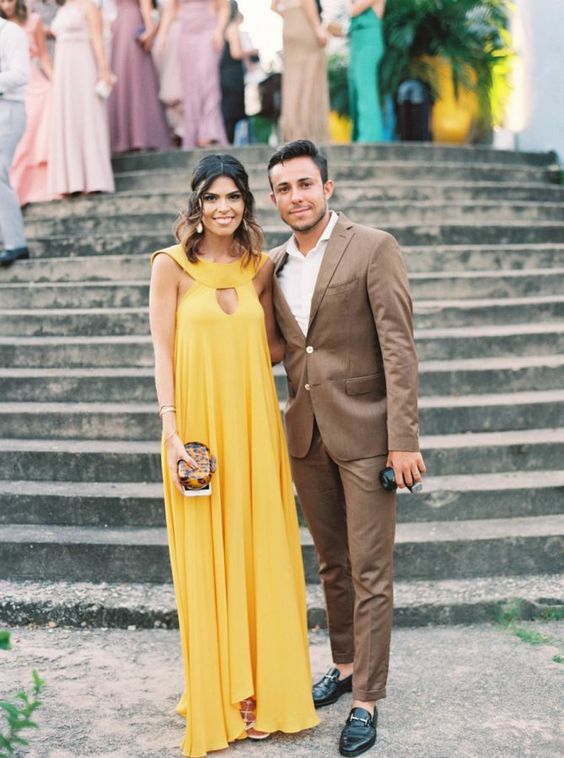 Here are some tips you may need to look and feel the best way possible at such a wedding. Light fabrics that do not cling to the body are best. 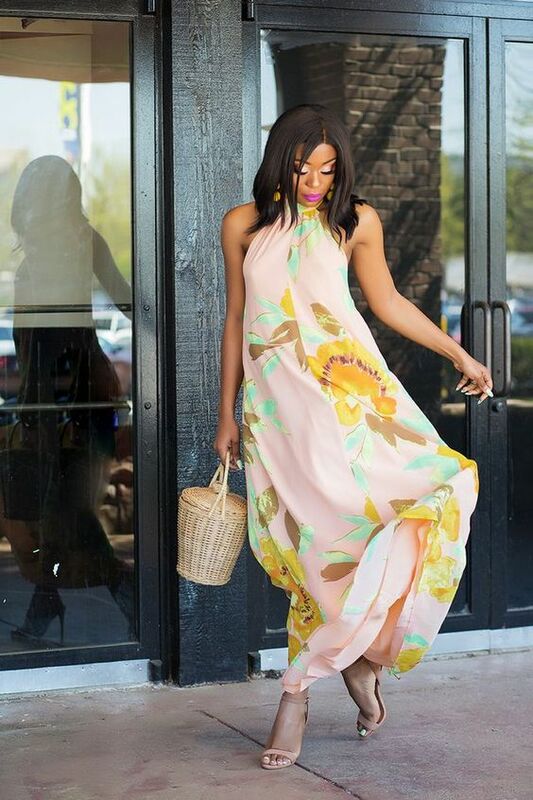 Fabrics like linen, chiffon, organza, and even cotton blends or lace are light but can still look luxurious. If the ceremony or reception is taking place during the evening, bring a lightweight shawl in case some cool air moves in from the coast. 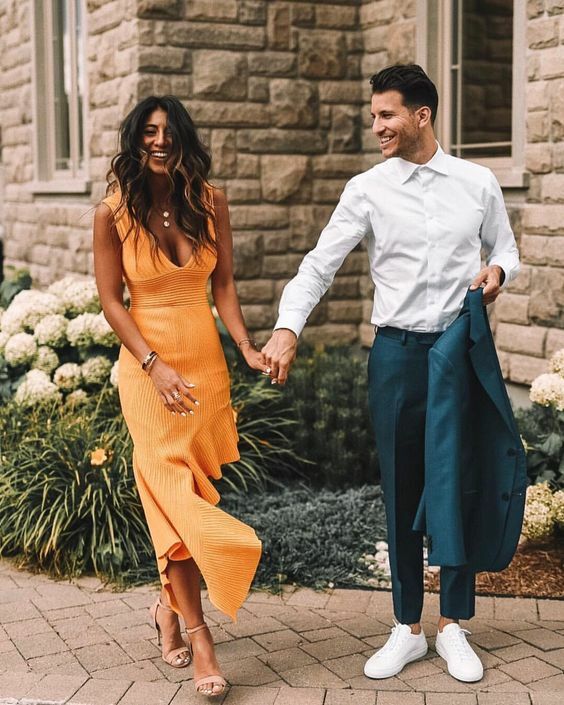 Black attire looks completely chic, but it conducts heat so if you are attending a ceremony in a tropical environment; you may find yourself completely cooked! 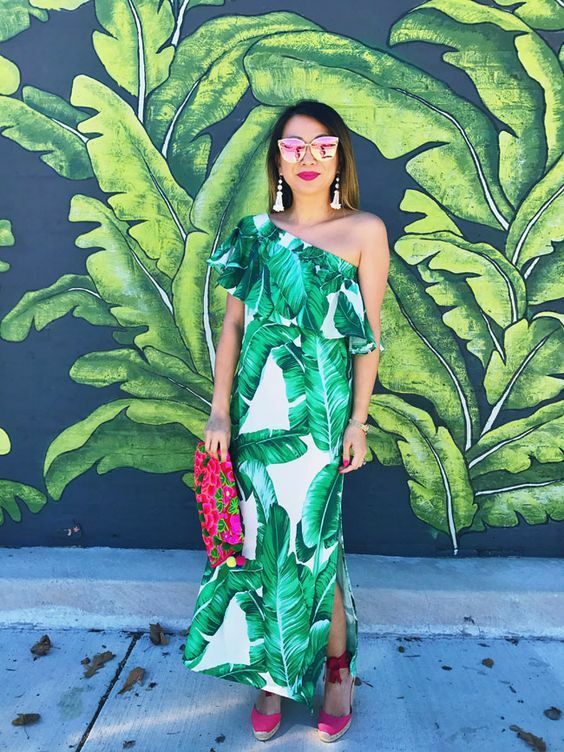 Mimic those delicious, tropical tones with your attire. Colors like aquamarine blue, turquoise, sand, terra cotta, fuchsia, lime green, tangerine, and even sunflower are all unique but appropriate tones. You may also wish to wear a pattern or print in these bright hues. Bold floral and botanical prints are the best options. 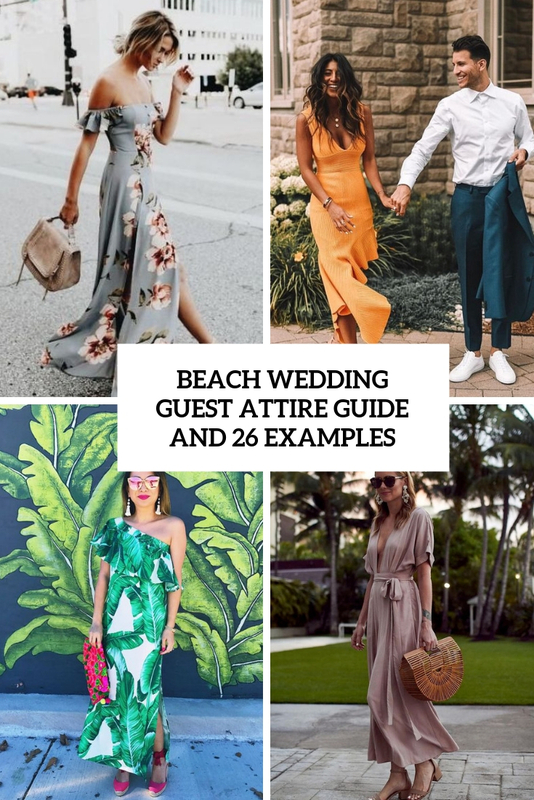 Keep in mind that even formal beach wedding attire is a bit more casual than what you might wear to a chic city wedding venue or country club affair. 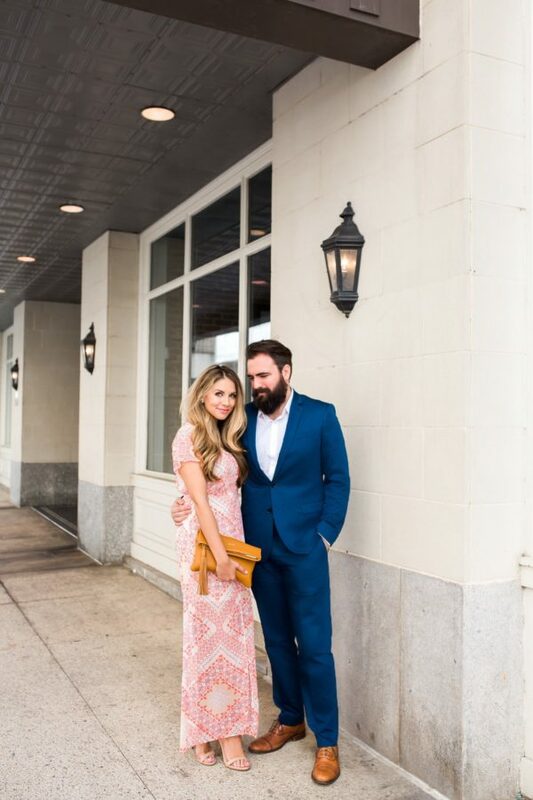 When thinking about what to wear to a beach wedding, know that will be less dressy. 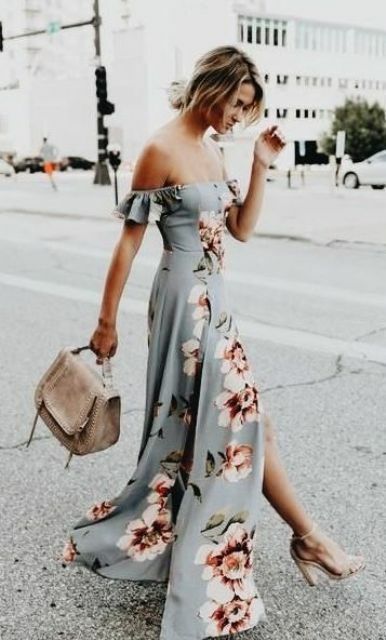 Summer breezes can kick up short, flirty skirts, so consider midi and maxi lengths instead of minis. Since you’ll likely be walking in sand (no easy feat in high heels! ), pair dressy wedges or flat sandals with beach wedding guest dresses. Just steer clear of rubber flip-flops unless handed out by the bride and groom.